In movies and on TV we expect sequels and spin-offs and the perpetuation of a franchise whereby we follow Rocky, The Terminator, or whomever seemingly to the grave. But theatre has tended to take the high road: Chekhov never revealed whether the three sisters actually reached Moscow. (What do you think?) And the nearest Beckett got to Waiting For Godot 2 are Hamm and Clov in Endgame, who can be seen as Didi and Gogo filtered through an even bleaker end of the existential prism. So the first thing to be said about Love Never Dies, Andrew Lloyd Webber's sure-to-be-debated follow-on from The Phantom of the Opera, is that what might seem a cynical and calculated gesture in another medium in the theatre is actually sort of brave. And for some of the time, at least, this year's biggest commercial opening is actually quite beautiful. Until, that is, the show comes unstuck at the very point that has derailed many a venture of both greater or lesser magnitude - namely, the plot. I suppose it was inevitable that this composer would revisit characters from what remains far and away his greatest musical hit, a very much ongoing 1986 West End entry that long ago became a billion-dollar global phenomenon. But deciding to take a particular narrative further also means determining what story you want to tell. And that's where Love Never Dies commits something perilously close to aesthetic suicide, which all the romanticism of the score - arguably Lloyd Webber's lushest to date - can't put right. Having presumably learned what not to do from the (hideous) projections that bedevilled Lloyd Webber's previous West End entry, The Woman in White, Crowley conjures up a landscape at once inviting and forbidding where horses float on scrims that appear and disappear as if on a whim, aerielists, stilt-walkers and the like populating a milieu that on some level seems to operate by its own fanciful rules. It's a new world prey, we soon learn, to old, unquenchable passions. What better place, then, to re-encounter the Phantom (the strong-voiced Ramin Karimloo, looking a lot younger now than Michael Crawford did in 1986), who has abandoned Europe to start afresh on the fringes of New York - Coney Island is much further from Manhattan than the image of a floating Statue of Liberty might lead you to believe - but finds himself hankering for, who else, his beloved Christine. And so "the soprano of the century", as she is described at the start, is summoned from Paris to board ship for a reckoning that one can imagine in script meetings having the far-reaching tragedy of grand opera. Except that as played out across two-and-a-half hours at the Adelphi, this long-deferred date with destiny topples into tosh. That's not to discredit some ravishing music-making along the way, at least for those willing to accept Lloyd Webber on fully surging - his detractors as ever will argue schmaltzy - form. More obvious influences range from Richard Rodgers (like Carousel, this show begins with a pulsing, immediately grabby waltz) to Franz Lehár, with detours into pounding rock, as might be expected from the composer of Whistle Down the Wind, and inevitable blasts on the electric guitar to signal the Phantom: the masked man's musical motif from before, as you'll recall. Especially hypnotic are unexpected forays into Benjamin Britten, most hauntingly via The Turn of the Screw-like contributions of Christine's 10-year-old son, Gustave (sung on press night with sensational clarity and personality by Harry Child, one of six children sharing the role), and an 11th-hour nod in the bizarre direction of a distaff Peter Grimes: the gallopingly bonkers showgirl, Meg Giry (Summer Strallen), is seen drawing the anxious Gustave ever more threateningly toward the sea. But oh, the story, which apparently four book writers (Ben Elton and Lloyd Webber chief among them) couldn't put right! At this point, those wanting to experience the show unencumbered should look away; on the other hand, who these days doesn't attend La Traviata without some foreknowledge of the hapless Violetta's fate? Suffice it to say that Christine on the eve of her wedding to the once-dashing Vicomte, Raoul, apparently returned for a romp in the hay with the Phantom, notwithstanding the fact that she was demure and innocent and he, by that point, had been branded a murderous obsessive. (And pretty ugly, too.) "Love never dies", or so Christine's second-act belter - the music cribbed from at least two previous Lloyd Webber go-rounds - informs us, though those mindful of Aspects of Love may prefer to argue, as that show's own anthem puts it, that "love changes everything". C'mon, Andrew, make up your mind! What has changed, apparently, are Christine's affections for the abusive drunkard and gambler that Raoul has (none too plausibly) become, and it's to the credit of the excellent Joseph Millson that a role here conceived as one long, protracted snarl achieves any dimensions at all. We're led to believe that the now 28-year-old Christine has lit a slow-burning torch all this time for the Phantom, not least for reasons having to do with issues of paternity. Indeed, while the specifics of the finale would appear to preclude any Part 3, Phantom: The Next Generation may just await us yet. For now, I offer full-throated praise for Sierra Boggess's exquisitely sung Christine, a far richer performance on every level than was ever possible from Sarah Brightman and one that renders richly human a part that is quite literally robotically conceived, at least at the start. (For what it's worth, there's an initial follicular nod toward Brightman.) Liz Robertson's severe Mme Giry deserves credit, too, for keeping up Mrs Danvers-like appearances as this musical's resident woman in black, a vengeful mother whose daughter, Meg, may be a "bathing beauty" - the likeable Strallen gets a song to that effect - but who joins mum in the inexorable slide toward melodrama that makes The Woman in White by comparison look positively sedate. Karimloo has a robust pair of lungs without ever acquiring quite the necessary mystery for an impresario known locally as "Mr Y". (That's about the level of wit on offer.) And yet he goes hell for leather for the unmasking, both physical and emotional, toward which Love Never Dies ultimately leads in what, for all its problems, feels a genuinely personal work and not merely some last-ditch, through-sung marketing exercise. O'Brien, indeed, has described the work as Lloyd Webber's Tempest (as in Shakespeare), whereby a creator late in his career takes as a defining topic his own relationship to his art. 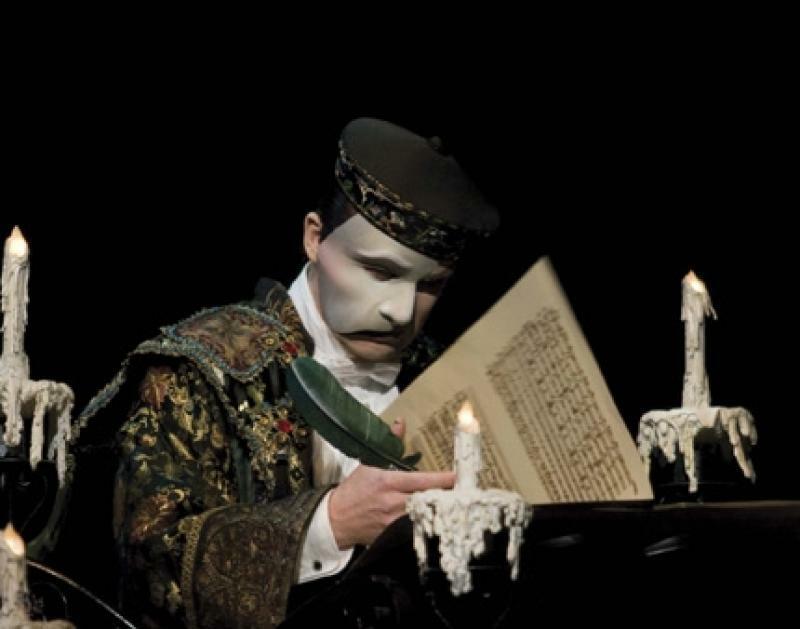 Is The Phantom's climactic jettisoning of that mask Lloyd Webber's cue for us to consider him once and for all as a man for whom the love of melody will never die? If so, I like a lot of what I'm hearing but when it comes to the story, well, there's always time for a fresh start. Oh the timing of the story is a masterpiece in Wonderland creativity. The original musical was set in 1881. The sequel is ten years later... in 1907 The 2004 film of the musical showed the gay social life of Paris in 1870 (why the change? No idea) - when Paris in 1870 was suffering a siege so catastrophic that the inhabitants ate the animals from the zoo And at the end of the 2004 film of Lloyd Weber's miscreation we see Raoul at Christine's gravestone showing she died in her 60s. I'm not the most pedantic man in the world, happy to live and let live, but such cavalier disregard for detail in ones own work shows scant respect for both the work itself and the people who pay to enjoy it.